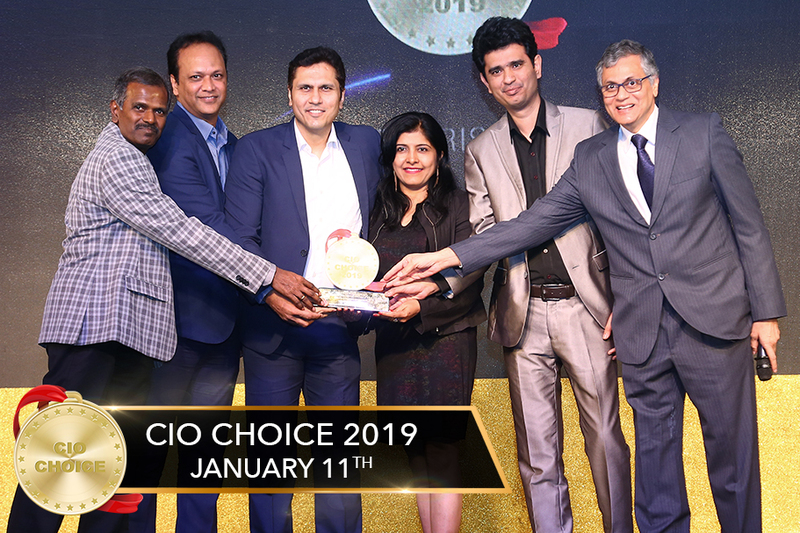 Mumbai, India – January 11, 2019 – IceWarp has been conferred the CIO CHOICE 2019 Honour and Recognition as the most preferred brand in the “Enterprise Email”. This prestigious recognition was presented at the exclusive Red Carpet Night, a celebration of innovation and excellence in the ICT ecosystem, produced by CORE Media. IceWarp is a stable international company operating in the market since 2001 and is developing a complex solution for communication and collaboration. Our goal is a continuous process of innovation considering current trends and requirements of more than 50,000 customers. We are present across 50 countries, already acquired more than 800 customers in India in a short span of 5 years. IceWarp entirely changes the concept of how teams share information online. Ultimate all-in-one collaboration platform and a whole new family of apps put powerful collaboration tools right at user’s fingertips by integrating everything they need under a single login – Email, TeamChat and Storage. And that is the reason it is being considered as the Only alternative to Exchange, O365, GSuite. Log on to www.icewarp.co.in for more details.